In the fall we spend a lot of time outdoors enjoying the cooler weather and doing yard work. With the summer being so hot you can't stand to do much before you feel like passing out it's the perfect time to catch up. Being outside of course means your going to get dirty, at least where we live out in the country. Even if it's just picking up sticks, or petting the animals your hands need a good cleaning when you go inside. And to be honest that can lead to a lot of hand washing, and your skin getting dried out. That's why I like Softsoap® HYDRA BLISS Hydrating Hand Soap so much. One pump is all you need to thoroughly clean both of your hands. And it's hydrating formula helps retain your skin’s natural moisture to leave your hands feeling soft and smooth. I'm really in love with the Coconut Water & Blueberry myself. I like the subtle scent of sweet from the blueberries. My husband on the other hand would argue that while he loves coconut and blueberries (to eat) he likes the Cucumber Water & Mint better because of the light mint scent. So to make us both happy I put one bottle at each of our bathroom sinks. Then we can both use the scent we prefer! Each pump-style bottle holds 11.25 fl. oz. and are available at mass retail, drug and grocery stores nationwide. 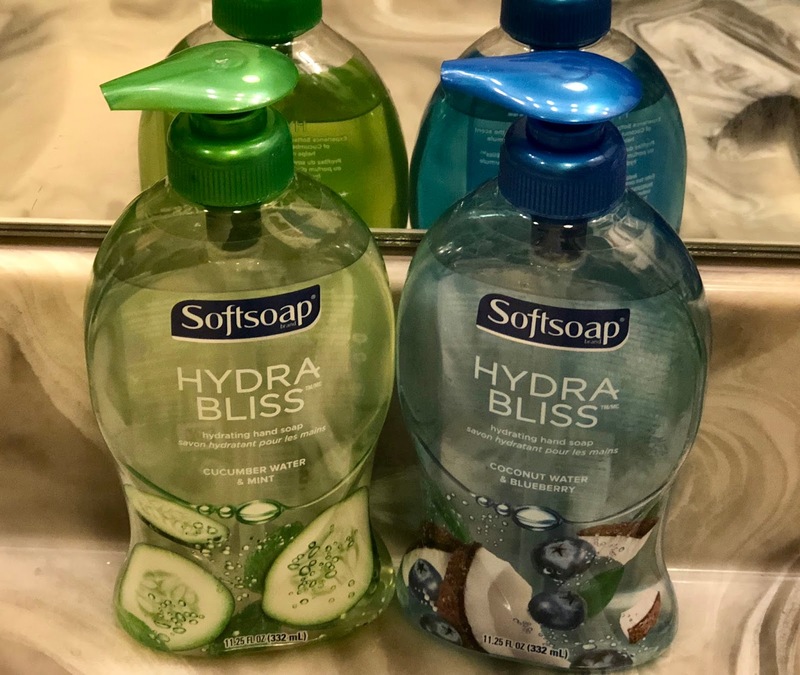 You can find these and other great Softsoap products on their website.